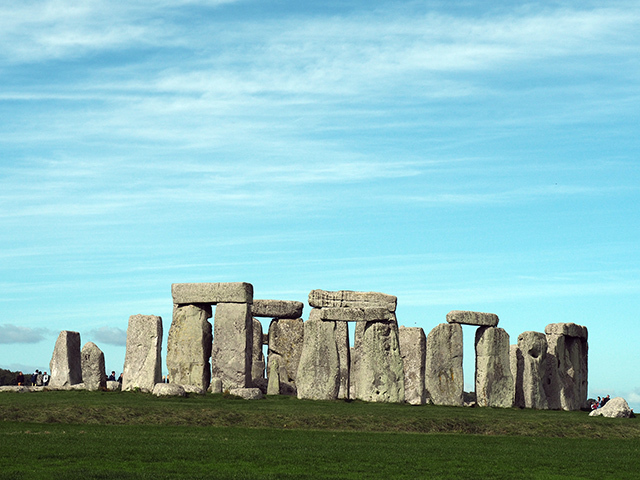 A trip to Salisbury is not complete without venturing out to the world-famous Stonehenge. Situated on the Salisbury Plain in Wiltshire, Stonehenge was built around 5,000 years ago and is an engineering marvel (considering they didn’t have today’s technology and machinery back then). As I was travelling to Salisbury by train, I was pleased to discover The Stonehenge Tour – a tour bus run by Salisbury Reds bus company. The Stonehenge Tour begins right outside Salisbury train station (look for the big green double-decker tour bus), but also picks up in the city centre, and takes in the beautiful countryside before arriving at Stonehenge Visitor Centre (the return journey goes via Old Sarum, for those wishing to visit). Due to the number of visitors, entrance to Stonehenge is now managed through timed tickets, so it is advisable to book entry tickets in advance (even if you are an English Heritage or National Trust member). However, The Stonehenge Tour ticket holders (excepting “bus only” tickets) are allowed in without advanced booking. 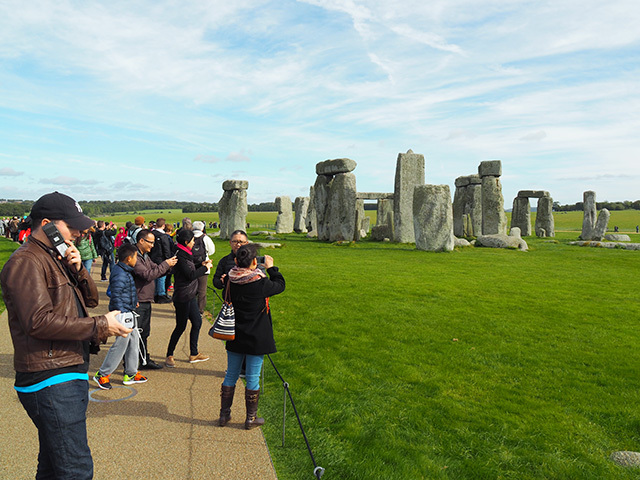 Upon arrival at Stonehenge, you will see just how popular an attraction it is. Even on an autumnal October day (which had begun with a torrential downpour of rain), it was surprisingly busy. Due to a cancelled train, I had arrived at Stonehenge an hour later than planned, so I had to make the most of just a short time there. The visitor centre is a mile and a half away from Stonehenge itself, so I headed straight to the free shuttle bus for the 10 minute journey (although you can walk to them if you’re feeling more energetic). 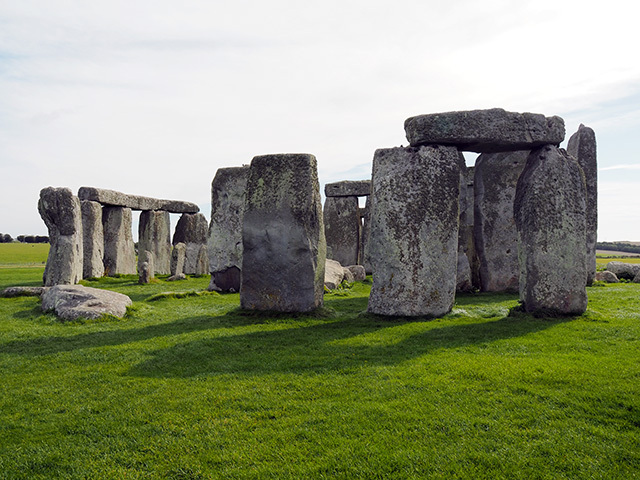 The stones are roped off, but you can follow a path around them to see Stonehenge from 360 degrees. You can request a Stone Circle access visit via the English Heritage website, but places and times are limited. I was slightly underwhelmed by my visit to Stonehenge. 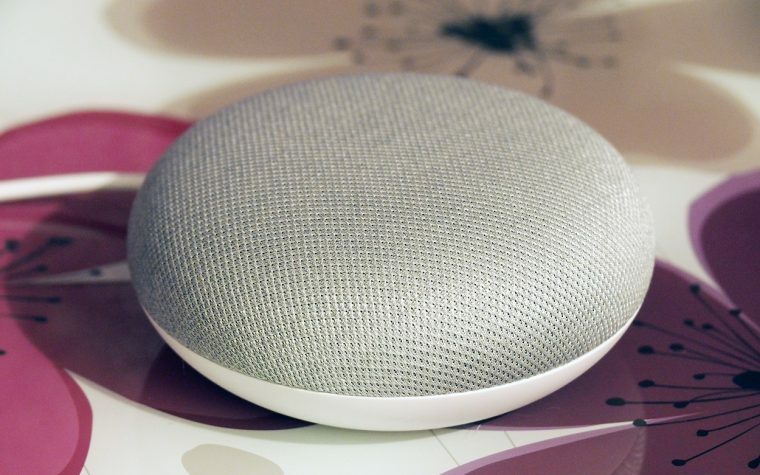 I was somewhat surprised that the stones weren’t as big as I thought they would be. Also, the sheer amount of people there somewhat ruins the experience. I imagine Stonehenge should be a peaceful and serene place, after all the standing stones are aligned to mark the passage of the sun and the changing seasons. The druids and pagans go there to mark the summer and winter solstices and spring and autumn equinoxes. Unfortunately, the world and its neighbour wants to visit this place of wonder and take numerous selfies with the stones. I suspect a Stone Circle access visit (when the masses aren’t there) might be in order to appreciate it better. 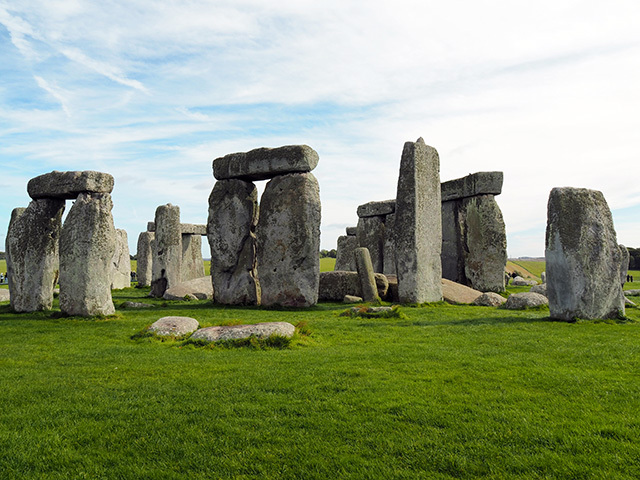 Whilst at Stonehenge, there is the opportunity to explore nearby features such as Woodhenge, Cuckoo Stone and various barrows. However, these are accessed on foot and over uneven ground. As my time was short, I didn’t get to explore them. 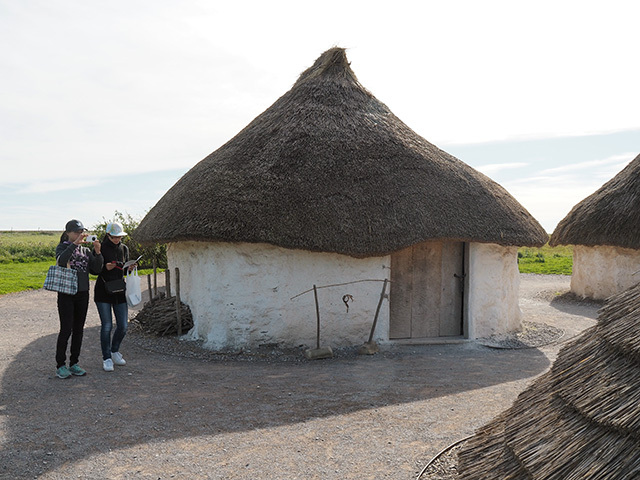 Back at the visitor centre, you will find Neolithic houses, an exhibition, cafe and shop. The Neolithic houses are recent recreations of the type of homes the builders of Stonehenge might have lived in. They are single room properties with thatched roofs and white chalk walls. (Be careful not to accidentally brush against the houses… I discovered a big patch of white chalk dust on my black bag as I boarded the tour bus back to Salisbury!). Unfortunately, I didn’t have time to visit the exhibition or the cafe as I had other plans back in Salisbury, but I did pop into the shop. The shop is quite large and full of everything and anything you can think of to do with Stonehenge, from hoodies and t-shirts to postcards and books. Of course, I picked up a guidebook and a handful of postcards. Stonehenge is accessible for visitors with mobility issues and two wheelchairs are available onsite for those who might need them. 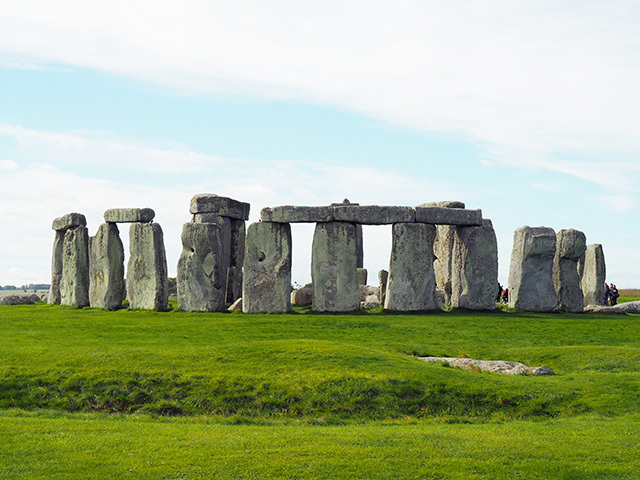 With 22 disabled parking spaces available, parking shouldn’t be an issue for disabled visitors (though do be aware that Stonehenge gets very busy, especially in the summer months). If I’m honest (and I am! ), I’d like to visit Stonehenge again, but when the crowds aren’t there, to fully appreciate this ancient monument. 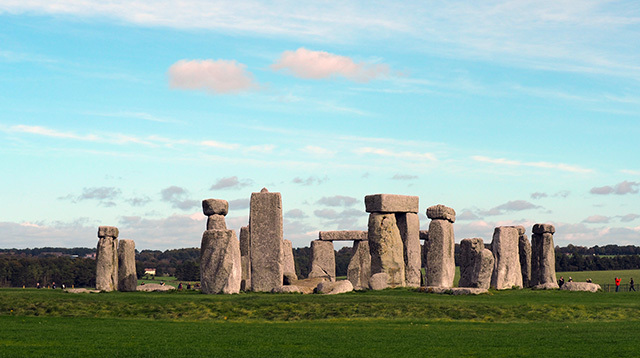 If you visit Stonehenge, be sure to visit nearby Salisbury (especially Salisbury Museum and Salisbury Cathedral). Tagged english heritage, national trust, salisbury, stonehenge, tourism, uk travel, wiltshire. I’ve heard others say they were underwhelmed when they visited Stonehenge too, so I think anyone would benefit from a Stone Circle access visit. I’ve never been myself but you do think of it as a peaceful place, I don’t think you factor in the crowds when you consider visiting. I’ve been to Stonehenge twice… the first time was eons ago (well, decades) before it was roped off, so we could walk amongst the stones. My second visit was in 2003, before this latest setup. I can’t remember the weather on my first visit (guess I could go dig out photos), but it was gray and very blustery on my second. It looks like it turned out to be a gorgeous day for your visit. 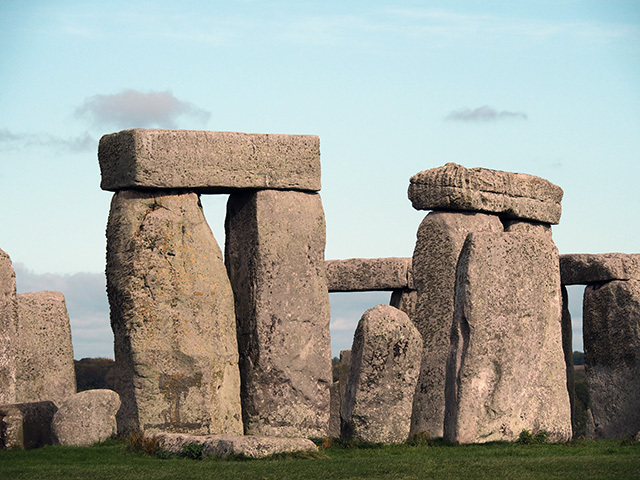 Frome is less than an hour away from both Salisbury and Stonehenge, so we classify both as close by. 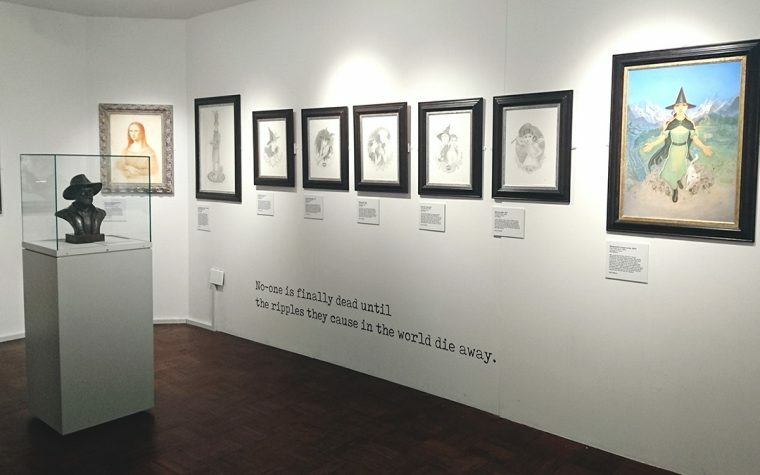 Salisbury is a beautiful city which can easily be explored on foot and the Cathedral and Cathedral Close are amazing spaces, rich in heritage. We spend quite a lot of time there, as there always seems to be something going on in either the Cathedral or in the city centre. The last time I visited Stonehenge, like Kelly, was when you could actually walk amongst the stones and climb nearby Silbury Hill burial mound. These days, we often park up in one of the nearby villages and take a walk across the fields, which takes us very close to the stones, without needing to go via the visitor centre to catch a bus and keeps us away from the crowds, whilst still able to appreciate the stones almost as closely. 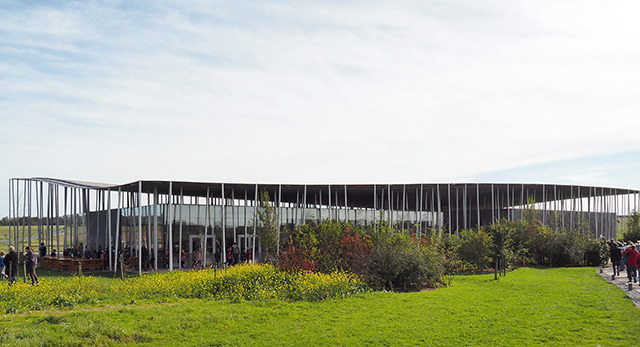 Since the new visitor scheme and centre was made operational, the crowds are always horrendous, so there really isn’t a good time to go unless you get there literally as they open in the morning. 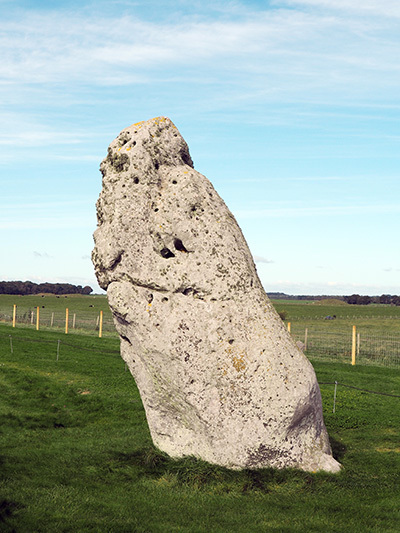 The stones at nearby Avebury are just as much visited and always busy, but you can walk amongst them and explore at your leisure. I felt slightly underwhelmed by our experience at Stonehenge as well. Maybe it was the crowds, or it could have been the weather (crazy high winds), but I just didn’t enjoy it very much. I think I might have if I’d tried to get one of the tickets allowing visitors into the inner circle, if only to have something to break the wind. 😉 We much preferred exploring the stone around nearby Avebury. It was a much quieter place and had pretty walking trails through countryside and farms with giant stones dotting the landscape here and there. I visited Stonehenge, but I would love to visit it again. We got there less than a couple of hours before the closing time and it was not as busy. We went to Woodhenge too, not much to see, but nice regardless. I was impressed by Stonehenge too, I remember how we both (my husband and I) reacted when we saw the stones from the road towards the visitor centre. We walked to the stones, as we had the dog with us and it wasn’t very far. I enjoyed my visit a lot, such a spectacular monument. Hi Nikki, I’ve not visited Stonehenge since I was a young girl. In those days, there were no ropes and no visitor centre and hardly any visitors. We used to picnic there on the way to Cornwall for summer holidays. One year my dad carved my initials into one of the stones and no doubt they are still there. I can’t imagine that happening now! My husband tells me his initials are there too because his family did the same, funny to think we might both have been there on the same day but only met years later. Oh good to know. I think an access visit would be perfect. I don’t think the crowds are for me either. Your pictures are fabulous! I’ve always wanted to visit Stonehenge, though I had heard that it’s smaller than expected and located close to the motorway which put me off a bit! Notwithstanding, the history is so intriguing! I have visited Stonehenge on several occasions over the past few years. 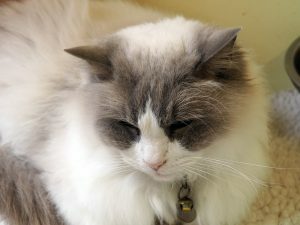 Since the site has been revamped and the visitor centre (and carpark) moved. I have found the experience more enjoyable than when I had to queue for ages at a very small turnstile about 20 years ago. I do however remember the time when I visited from school… we were able to walk up to the stones and look up at their height in awe! The stones were close enough to touch, although I chose not to. I should definitely take this tour the next time when we’re in the UK. My sister was there last 2015 when we met up in London. 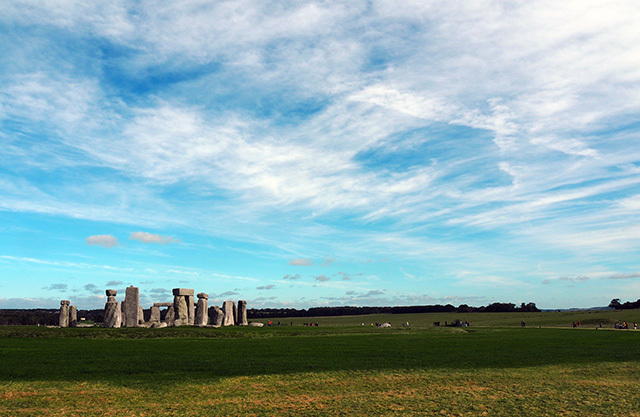 The Stonehenge is mysterious and majestic at the same time. Beautiful photos! We ‘sort of’ visited Stonehenge, by accident! It wa a few years ago and I knew I was in the rough sort of area and as we turned a corner we could just see it rising up in the distance! I’ll admit that, as the sun was coming up in the morning and our view was quite unexpected, it did take my breath away a little! We did drive up closer though and it seemed to have less on an impact on my close up like that! Ooh, I’ve seen the stones, but not the Neolithic houses. 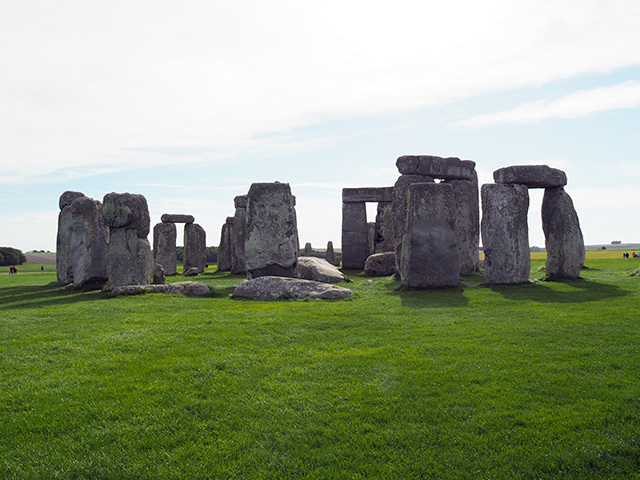 Stonehenge is one of those places that you need to visit several times in your life – your beautiful pictures are making me want to go back! Stonehenge is on my bucket list for a while now and I really hope to cross it off soon, Nikki. Your post was so inspiring and detailed. Do I need a guided tour for there or I can visit it on my own? I caught the tour bus from Salisbury to Stonehenge (as I’d gone down via the train), but once the tour bus dropped me off I was free to do what I liked and catch any of the tour buses back to Stonehenge when I was ready. There are plenty of parking spaces if you intend on driving to Stonehenge, but it does get very busy, so it’s best to plan for either when it opens or maybe later on in the day.